Finally, the weather changed yesterday and today and I could spray varnish the figures I’d done before Xmas, and undercoat some more. 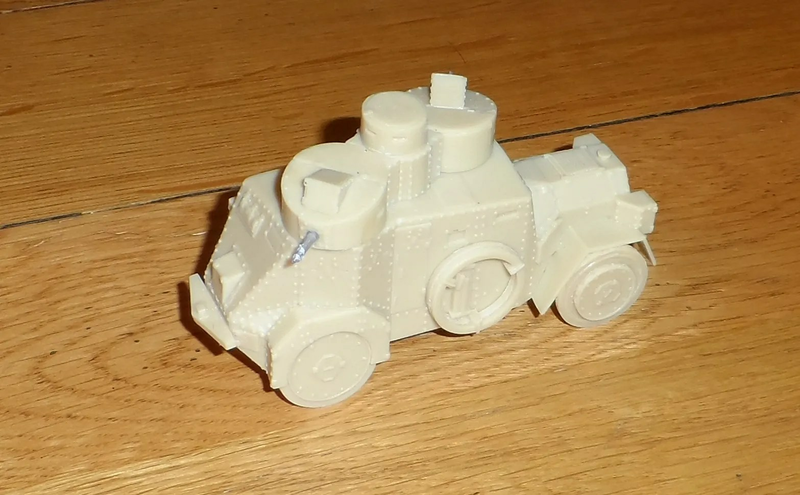 In return for a hand written and signed Xmas card, Byakhee Rich had assembled a Copplestone Castings Schupo Sonderwagen (or rather two), and delivered them during Xmashammer. The two MG turrets held in place by magnets as usual. 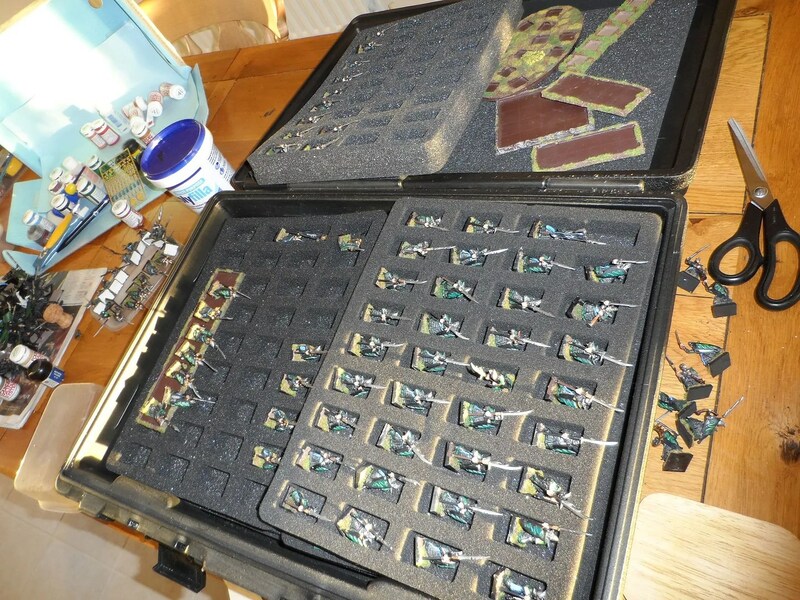 The newly varnished Dark Elves needed to be packed into the box, and also weighted. 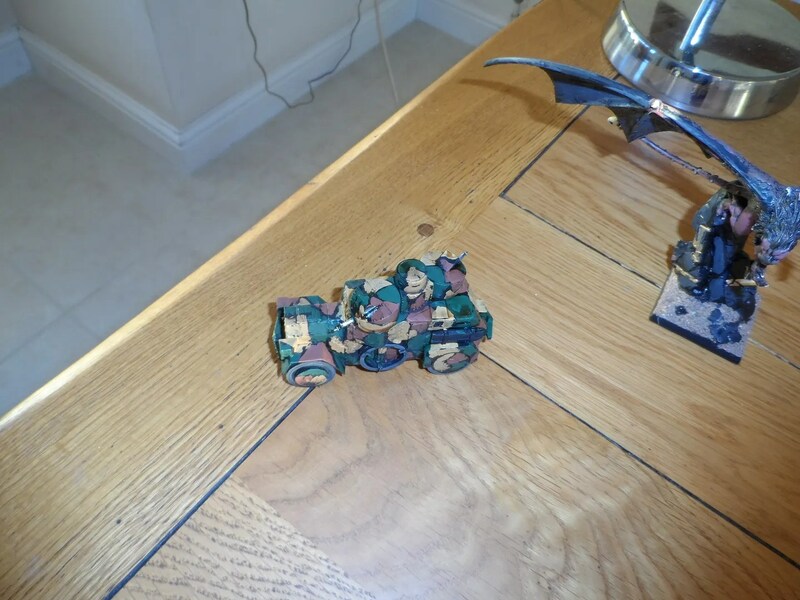 I’d done some ad hoc weighting of bases during Xmashammer for Anthony’s Dwarves, but had neglected to do my own. So I set about weighting them. Plastic figures are very light, and can often be top heavy. When moving/placing them on the battlefield,especially on slopes, they can fall over. 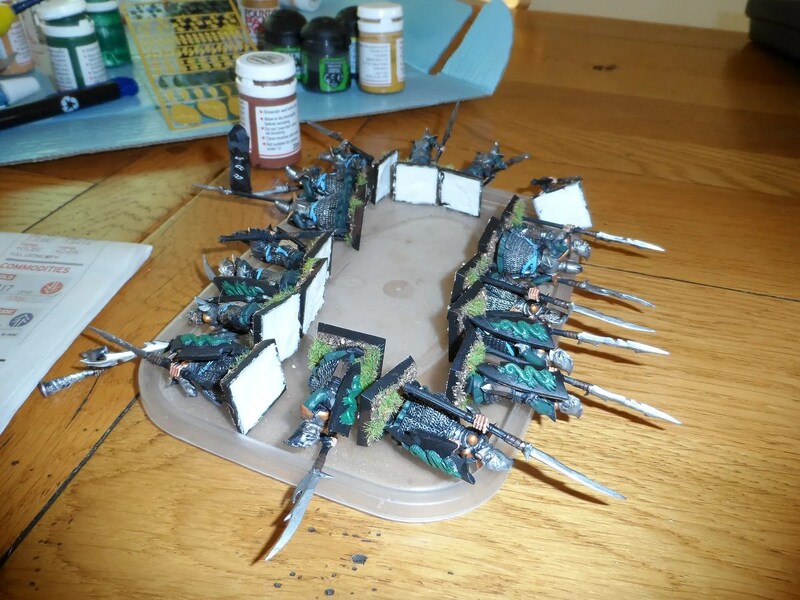 For WHFB games this is especially annoying as you can see an entire forest of spearmen fall over virtually every time you move them or the table gets knocked. 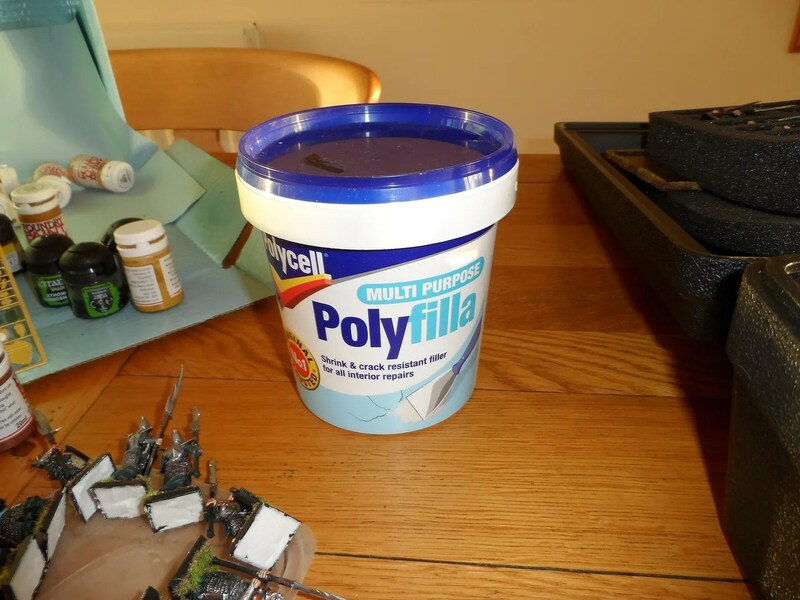 Therefore, I weight the bases with polyfilla, and or metal weights – off cuts from sprues and such like. One A/C in progress and the highlights on Greatwing are being done. The brass etched foliage is being added as well now its been painted and highlighted.